AeroGardens are a fantastic way to grow your own food at home with virtually no effort. Regardless of your gardening skills, you can enjoy fresh herbs, vegetables and salad grown easily with an AeroGarden. 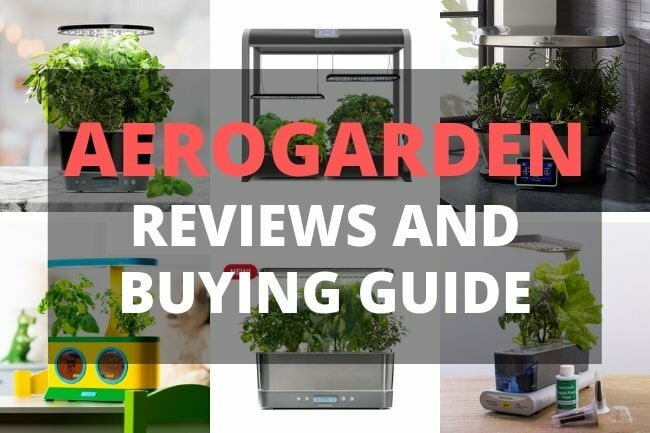 This article is going to cut through all the confusion and explain everything you need to know about AeroGarden, It includes AeroGarden reviews, a clear and simple comparison chart and a complete buyers guide to so you can choose the best AeroGarden for you. Aerogarden is a countertop device which grows a range of plants in your home with minimal effort. Plants are grown from seed pods which slot into the top of the device. The plants are grown under LED grow lights, and the AeroGarden delivers the water and nutrients automatically to the plants, with no user input required. AeroGarden has an automatic timer for the grow light, ensuring that the plants get the optimal amount of light per day. The AeroGarden will prompt you when it is time to add nutrients or water to the machine, and the AeroGarden will take care of the rest, precisely delivering the perfect amount of water and nutrients to the plants to ensure the fastest and most healthy growth. 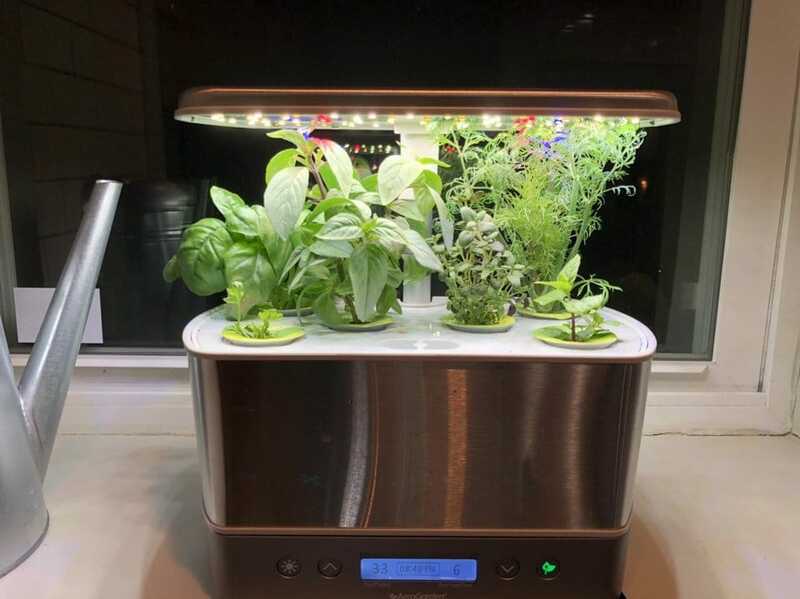 This means you can grow a significant quantity of your favorite herbs, salad greens, vegetables and more, in a compact unit that can be placed anywhere in your home. You can harvest the plants when needed to enjoy the freshest food possible. Aerogarden has been around since 2002 and the product range has been expanded, revised and updated on several occasions. This can sometimes make it quite difficult to compare the range of AeroGarden models. Before we go any further, here is a comparison chart of the AeroGarden models that will make your options clear. How Does An AeroGarden Work? Aerogardens work using a type of hydroponics called aeroponics to deliver water and nutrients to the roots without the need for soil. The combination of aeroponics and LED grow lighting makes the plants grow up to twice as fast. AeroGarden uses up to 95% less water than growing plants in soil and up to 60% less fertilizer, making it a very efficient method of growing indoor plants. Whilst most people have no problem growing herbs on a sunny windowsill, AeroGarden allows you to grow plants all year round, regardless of the climate, and anywhere in your home, with no requirement for natural sunlight. Why Would You Want An AeroGarden? AeroGarden is a great option for growing food for your kitchen with minimal effort all year round. I’ve listed some of the main benefits below. Great option for people who do not have an outdoor space to grow plants. Allows you to grow more produce in a compact space. AeroGarden does almost everything for you, which reduces the user input and effort of growing plants for your kitchen. Improves the success rate of your indoor gardening activities. Aerogarden monitors the conditions and prompts the user when input is required. Some models have WiFi integration and an accompanying app, which will notify you when you need to attend to your plants. Grow larger plants, more quickly than using other growing methods. Allows plants to be grown at the place of consumption, ensuring complete knowledge of the provenance of the food you eat. The AeroGarden model range can look a bit confusing when you first begin looking at them, but things have been simplified recently. There are five main product lines which I will explain a bit more about below. I have specifically excluded their obsolete models (classic and ultra). This model can grow 6 plants at once and has a 20w integrated grow light. It comes in five different variants, but a lot of the differences are simply cosmetic. The AeroGarden Harvest models have a matte plastic finish, whereas the AeroGarden Harvest Elite models have a stainless steel finish and come in a different range of colors. There are three different form factors, Harvest (rectangular), Harvest 360 (round) and Slim (6 plant pods in single row). I have listed the models below with the key differences indicated. All other aspects of the AeroGarden models are the same. The only difference between these two models is the cosmetic appearance. The AeroGarden Harvest has a matte plastic finish and comes in either white or black. The Harvest Elite models have a stainless steel finish and there are a variety of colors to choose from. The AeroGarden Bounty is a larger unit which can grow up to 9 plants at the same time. It is significantly larger, and the LED grow light is more than twice as powerful at 45w. Another key advantage is that the Bounty allows up to 24” of grow height, giving your plants much more space. The Bounty normally costs more than twice the price of the Harvest models, but you get a lot more for your money. All of the Bounty models have a digital touchscreen display to monitor and adjust variables, and the WiFi models have smartphone connectivity allowing you to monitor and adjust variables remotely. Whilst the Harvest models are good for growing salad greens and herbs, it is only when you move up to the Bounty models that growing peppers and tomatoes become a good option. If you want to grow a reasonable amount of food, which can be harvested regularly, this is a really good model to go for. I have listed the Bounty models below, highlighting the key differences between them. What Is The Difference Between AeroGarden Bounty And Bounty Elite? The only difference between these two models is the cosmetic appearance. The AeroGarden Bounty has a matte black finish. The AeroGarden Bounty Elite has a stainless steel finish and comes in a choice of three colors; red, platinum and stainless steel. If you really want to grow an AeroGarden that can produce a significant quantity of greens, herbs, and vegetables, this is the one for you. It can grow up to 24 plants at the same time, almost tripling the growing capacity of the Bounty models. It has two 60w independently adjustable LED grow lights, allowing you to grow small plants and tall plants in the same AeroGarden. All Farm models have touchscreen control screens and WiFi connectivity. They are even stackable for those who have even greater indoor growing ambitions. The AeroGarden Farm comes in three variants, the Aerogarden Farm (12” grow height), AeroGarden Farm Plus (24” grow height) and AeroGarden Farm XL (36” grow height). Other than this, each of the three models have the same features. I think the AeroGarden Farm would be really impressive in any indoor space. Aside from the quantity of food you will be able to produce, visitors and friends will be amazed at your wonderful indoor growing setup. Back to the smaller options now, the AeroGarden Sprout is an AeroGarden which can grow 3 plants at once. Best for those who want to keep a selection of fresh herbs available all year round, rather than those expecting a great quantity of food production. Being very affordable, it is also a good way to dip your toe in the water and test the process of using and growing with an AeroGarden. The AeroGarden Sprout has only one model variant, but comes in a choice of red, black or white. The LED grow light has 10w of output and the Sprout allows up to 10” of grow height. There is no digital display or WiFi with this model, but you get the core AeroGarden features at a very reasonable price. This is one for the kids. The brightly colored AeroGarden Herbie is designed to be an indoor gardening adventure for kids aged 6 and up. You are able to grow 2 plants at once and it comes with a 32 page activity book, so your children can learn and have fun along the way. What a great way to teach kids about where their food comes from and how plants grow. It has an 8w LED grow light but requires the light to be manually turned on and off. A good way to give your children some responsibility to look after a living thing. With so many models on offer, you might find it a bit challenging to pick the right AeroGarden for you. Here are some things to consider which will help narrow down your choice and should make the decision easy at the end. If you just want to grow a few fresh herbs in your kitchen, the AeroGarden Sprout may be a great option, but if you are keen to produce a reasonable amount of food, you’ll want to opt for a larger model. In addition, take note of the maximum height of the LED grow light, as only the Bounty and two of the Farm models have more than 12” grow space. This can restrict you a little if you want to grow larger plants. The AeroGarden models vary in size significantly, so you’ll need to think about where you are going to put it in your home. 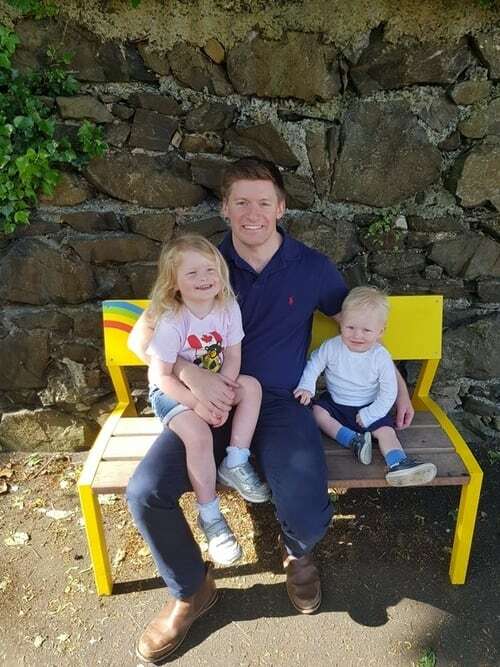 While the Harvest and Sprout models are fairly compact and can fit on almost any worktop, when you move up to the Bounty, the dimensions increase significantly, at 17.25” wide and 11.25” wide. You also need to consider the height requirements, with the bounty requiring 34” when the grow light is fully extended. How Much Food Do You Want To Produce? If there are more than one or two people in your home, and you’re expecting your AeroGarden to produce all your salad greens, you’ll need to pick one of the larger models. The best way to use the output from your AeroGarden is to harvest small amounts of the plants as they grow, to provide a steady supply. The Sprout will really only produce enough herbs for seasoning when cooking, and the Harvest can provide regular salad garnish for 1-2 people, but you will need a larger model for more substantial quantities of food. The Sprout and Harvest models provide great core functionality at a fantastic price without providing any of the bells and whistles of the more expensive models. If you’re serious about growing a lot of produce in a small indoor space, the Bounty and Farm models are the ones to look at, but the prices are substantially higher. Sometimes it can be difficult to wade through all the options available. I’ve reviewed all the models and here are my top Aerogarden recommendations at three different price points. This 6 pod unit is really keenly priced and significantly better value than any other competing smart herb gardens. The digital display and stainless steel finish of the elite unit make this an Aerogarden you can proudly display in your kitchen, while only costing a little more than the matte plastic finish models. Generally, I feel that for the cost of the Sprout model, most people would be better stepping up to the Harvest. I have personally used a Harvest Elite 360 for some time and have been delighted with it. It’s fun to use and the whole family enjoy watching the plants grow. Sure, it doesn’t produce an awful lot of food, but we get plenty of herbs and salad greens every so often. If you want to produce a fair bit more produce, the ability to grow 9 plants at a time with the Bounty models is great. As the unit is much bigger, and the LED grow light extends to 24”, you will be able to produce about double the quantity of food from this unit compared to the Harvest models, despite it only having 3 additional plants. Overall, I feel it is worth paying a little extra for the stainless steel finish of the Elite unit, as it turns a reasonable looking machine into a real head turner. I wouldn’t recommend upgrading to the WiFi models as the additional features are a bit of a novelty, and don’t add much functionality for the majority of people who will be using this AeroGarden. The digital display is great and provides you with all the information you need. If you want to grow enough produce to feed you and your family on a regular basis, the Farm models are the ones to go for. However, I would strongly advise going for the Farm Plus model due to the LED grow light extending to 24” in height, compared to 12” on the regular Farm model. 12” is generally too restrictive and limits your ability to grow many taller plants to anywhere near their full potential. If you want to grow a variety of plants at the same time, ou can put your salads and herbs on one side, and keep one of the LED grow lights low, and grow your tomatoes and peppers on the other side, raising the LED grow light to the maximum 24” as the plants grow. All of the AeroGarden models are easy to set up, even the larger Farm models. The instructions are clear you can have your seed pods ready to go in only a few minutes. Once your plants have grown big enough, you can regularly harvest small quantities from them and they will regrow very quickly. A single seed pod can last for months and months, providing a significant quantity of produce over time. Due to the use of LED grow lights and aeroponics, plants grown in an AeroGarden grow at least twice as fast as plants grown in soil, meaning larger quantities produced in a small space. It really is fun watching your plants grow and mature in an Aerogarden. My whole family get involved and love to chat about how our plants are doing and which are growing the fastest. Kids find watching the plants grow fascinating. AeroGarden provide a germination guarantee, meaning that if one of your plant pods doesn’t produce a plant, you can just contact customer service and they will ship you a new plant pod. This provides a lot of reassurance that you will be getting value for money and a product that will meet your expectations. Most of us don’t really know where our food comes from, and much of the food we buy in stores is transported hundreds of miles from the farms where it is grown. Growing food at home means you know exactly what has been used to grow your food and you can relax knowing that what you serve on your table is safe and healthy. There really is nothing more satisfying that growing my own plants. I love filling my home with plants. Gardening is increasingly touted as a treatment for anxiety and depression, and certainly there are few things that make me as happy as tending to my plants and watching them grow. The AeroGarden gives those without access to a garden, the ability to produce lots of plants for enjoyment or food in a small space. With AeroGarden, you can grow plants in even the darkest corner of your home. You can even tuck your AeroGarden away in a closet and the plants will grow happily. I am a big fan of houseplants and indoor gardening, but I only have a set number of windows, so AeroGarden allows me to grow plants in all corners of my home. There are far fewer pest problems when growing greens indoors with Aerogarden. No soil and indoor growing reduce the risk of pests and disease substantially. Growing your own food at home means you have less to buy at the store. Fresh vegetables, salad greens and herbs can be expensive, so there is a fair bit of money to be saved, although this has to be balanced against the cost of the power used to run the LED grow lights. The luxury of growing plants effortlessly is cost. Planting herbs on your windowsill or growing vegetables on a balcony is free. AeroGarden can be expensive to buy, depending on the model, and the LED grow lights, whilst efficient, use electricity to run. You are very unlikely to save money overall by growing food with an Aerogarden. One of the common criticisms of AeroGarden is the disappointing quantity of food that the smaller models produce. When buying one, it is important to have realistic expectations of how much food your AeroGarden will produce. If you want to grow a few herbs and have some fun, the small models are great. If you want to feed yourself, only the larger models will produce sufficient quantities. Whilst I’ve never had any issues with my AeroGarden, some people report irregular, or less vibrant growth due to an imbalance between nutrient and light availability. You can also have problems starting a seed pod in an AeroGarden if there are already mature plants growing in the same AeroGarden, as the new plants struggle to get enough light to thrive. Whilst most seed pods grow just fine, on occasion you will encounter a seed pod that fails to germinate. Thankfully, AeroGarden has a germination guarantee, so you can contact customer services and they will send you a replacement seed pod. However, it can still be frustrating to have a seed pod fail to germinate, as when you replace it, the other plants will already be growing strongly, and the replacement can sometimes struggle to get as much light as it needs. Replacement seed pods are quite expensive, and the combined cost of the AeroGarden, the seed pods and the electricity required to power the unit and LED grow light can make this a reasonably expensive option to grow your own food at home. Having said that, the seed pods are so convenient and with the germination guarantee, it makes it more reasonable value. An alternate option is to buy compatible seed pods or seed sponges and use your own sponges. This can save a lot of money over the long term, and is very simple to do. One of the key advantages of AeroGarden is that it uses an LED grow light, rather than relying on sunlight. This means you can grow your plants anywhere and all year round, but the electricity used will cost you money. See the table below for the average cost of running your AeroGarden at average electricity prices. LED lights use much less energy than incandescent or halogen lights, so don’t be fooled by the low wattage. The average domestic LED spotlight has a power output of 6-8 watts, so the LED lights in Aerogarden are very powerful, and as a result very bright. Some people may find the brightness of the larger AeroGarden units to be a bit distracting. The beauty of the AeroGarden though is that you aren’t restricted in terms of where you can put it in your home, so if the lights are a bit bright for you, you can put it somewhere out of sight where it won’t bother you. What Grows Best In An AeroGarden? Most people find herbs and salad plants grow the best and most reliably in AeroGardens. Vegetable seed pods are a little more unpredictable and are best grown in an AeroGarden where the grow light extends to 24” or more. Can You Grow Anything In An AeroGarden? You can plant any seeds in an AeroGarden. However, tuberous or root crops, including carrots, parsnips, potatoes and peanuts are not suitable for growing in an AeroGarden. Technically, you could use AeroGarden to germinate these platns, but you would need to transplant them very soon after. When growing other vegetables, dwarf varieties generally do much better, due to the size constraints of most of the devices. Can You Use Your Own Seeds In AeroGarden? Yes, you can grow your own seeds in an AeroGarden using blank seed pods. AeroGarden sell blank seed pods, but you can also get compatible empty seed pods that are generally more cost effective, that you can use to plant your own seeds. Can You Reuse AeroGarden Pods? You can reuse the plastic part of the seed pods, but you should use a new grow sponge or other suitable growth medium when planting new seeds. Here is a great article that goes into a bit more detail about reusing AeroGarden seed pods. How Long Does It Take To Grow Herbs In AeroGarden? It takes approximately four weeks for your herbs to get big enough to start harvesting them. You can harvest the plant regularly as it grows for approximately 4-6 months, giving you a steady supply of herbs to enjoy. In contrast, it will take tomato plants approximately 90 days before they produce their first harvest, but with regular harvesting, your plant may continue to produce tomatoes for up to one year. AeroGarden uses a subtype of hydroponics called aeroponics to deliver water and nutrients to the roots of the growing plants. Although there is no soil required to grow the plants in an AeroGarden, you still need something to hold and support the growing plants. The seeds are grown in special grow sponges which provide support for the plants and help to retain water and nutrients around the roots. AeroGarden seeds are sourced organically, with many being heirloom varieties. GMO seeds are never used. AeroGarden fertilizer is not organic, but is free from pesticides and herbicides. For a fertilizer to qualify as being organic, it must be derived from decomposed animal or plant matter. While this is good for growing plants in soil, it is less suitable when growing plants with aeroponics. AeroGarden nutrients are derived from mineral salts and are produced to ensure a high level of consistency and purity. I’m going to go into a bit more detail about the pros and cons of three of the AeroGarden models that I feel are the best options for most people. As mentioned previously, I’ve picked one AeroGarden Harvest model, one AeroGarden Bounty model and one AeroGarden Farm model. Hopefully this will give you a bit more information about the good and bad points of each. I think this is the perfect AeroGarden Harvest model. Keenly priced, and the the most visually appealing AeroGarden model in my opinion. It has quite compact dimensions and would look great in most people’s homes without being intrusive. The updated AeroGarden Harvest models look so much better than the old models. I love displaying my Harvest Elite 360 at home and get plenty of comments from visitors and friends. It’s small and light enough that it is easy to move when I want, while still being able to grow a reasonable amount of plants. The AeroGarden Harvest Elite 360 is not able to feed my family, but does produce a steady supply of salad garnish and herbs for cooking. Customer reviews are very positive for this model both on the Amazon website and the AeroGarden website. The main positives are the looks, the ease of setup and use and the great price point. People liked the fun of watching their plants grow and were pleased with how easy the AeroGarden Harvest is to use. The digital display provides useful information and maintenance requirements are low. The main negative points are that sometimes the seed pods fail to germinate, the LED grow lights are really very bright, and there have been a few quality control issues. Why Is This The Best AeroGarden Harvest Model? Although the stainless steel finish is just cosmetic, it really does make a big difference to how well this product looks. Particularly important for the Harvest models, which are easy to display in a wide variety of locations, the stainless steel finish looks great. For those wanting to grow a significantly greater amount of food, the AeroGarden Bounty Elite is the model that I would recommend. The LED grow light extends to 24″, giving you much better scope to grow vegetables such as tomatoes and peppers, which need more vertical space. Again, I’ve gone for the Elite model as I think the stainless steel finish looks so much better and does not cost a lot more. My feeling is that the WiFi models are not worth the extra expense, as they will not add much additional functionality for the majority of users. There’s nothing negative about the smart features of the WiFi models. It’s just that I think most people won’t see a lot of benefit from these features. In my experience, the Bounty models produce about twice the output of the Harvest models despite only having 3 additional plant pods. The main reasons are the additional height and space that the plants have when growing in an AeroGarden Bounty, and the grow light, which provides more than double the light output of the Harvest models. (45W v 20W). Again, customer reviews are generally very positive both on Amazon and on the AeroGarden website, indicating that most customers are generally happy with the AeroGarden Bounty Elite. Whilst not as visually appealing as the Harvest models, the Bounty Elite still looks well, and is so much better looking than the old models. The styling of the old models was a major negative point for me previously, so I’m delighted with the updated looks of the Bounty Elite. The AeroGarden Bounty Elite is sufficiently large to grow quite a reasonable amount of produce, setup and use is very easy, and most people find growing plants simple and successful. The AeroGarden Bounty Elite is more than twice the price of a Harvest model, but food output is unlikely to be more than twice the quantity. Customer service and quality control again appear to be the main negative points, but do seem to be fairly isolated events. The Bounty is also a lot larger than the Harvest. It may look quite out of place in a small room, and you need to remember that with the LED grow light fully extended, this unit will sit 34″ tall. Bear this in mind when thinking about where to put it. The other negative is the brightness of the LED grow light. The light is quite intense and some people prefer to put their AeroGarden in a room that they are not regularly using due to the distracting nature of the light. Why Is This The Best AeroGarden Bounty Model? The AeroGarden Bounty Elite looks much better than the standard Bounty models and has fantastic functionality. The WiFi models haven’t convinced me that they are worth paying extra for. I’m trying to choose the best option for the majority of people, but your priorities may differ. Overall, the AeroGarden Bounty is a great product and the choice is yours. The AeroGarden Farm Plus is the ultimate for growing lots of food indoors in a compact space. The Plus model maintains the same growing height as the Bounty models, but increases the number of plant pods to 24. Finally, this is a model which can realistically produce a good quantity of food for you and your family. Whilst not a cheap option, the AeroGarden Farm Plus is a fantastic product that works well and looks fantastic. All of the Farm models are controlled via a large color digital display and have WiFi connectivity, allowing you to monitor and adjust your AeroGarden remotely. For those with big ambitions, the AeroGarden Farm is even stackable, so you can fit multiple units into a small space if you really want to go all out with your indoor gardening activities. The AeroGarden Farm Plus only takes about 20 minutes to assemble and setup completely. The digital display guides you through the setup process, making it really easy to get growing. The separately adjustable LED grow lights allow you to use each half of the unit for different crop types, or to replant one half of the unit at a time. Interestingly, the Farm Plus gets the best overall rating of all the AeroGarden units both on Amazon and the AeroGarden website, so I think that speaks for itself. I think that price is the main negative aspect of the AeroGarden Farm Plus, and this is quite justified, as this is a fairly expensive bit of kit. However, with overwhelmingly positive customer reviews, it seems like it is a price worth paying. Why Is This The Best AeroGarden Farm Model? I can’t actually speak from personal experience regarding the AeroGarden Farm model. The difference between the three model variants is the maximum height of the LED grow lights. The AreoGarden Farm extends to 12″, Farm Plus to 24″ and Farm XL to 36″. I would love to purchase an AeroGarden Farm, but I think the standard AeroGarden farm, with only 12″ of grow height would simply be far too restrictive for most people. Similarly, while I can see the appeal of the Farm XL, most of the crops that are commonly grown in AeroGardens are fairly easily accommodated by 24″ of growing height. Personally, I think the Farm Plus is a good compromise and would work well for most people. I hope you’ve enjoyed this AeroGarden comparison and review. As you can see, I’m passionate about AeroGardens and indoor gardening in general. 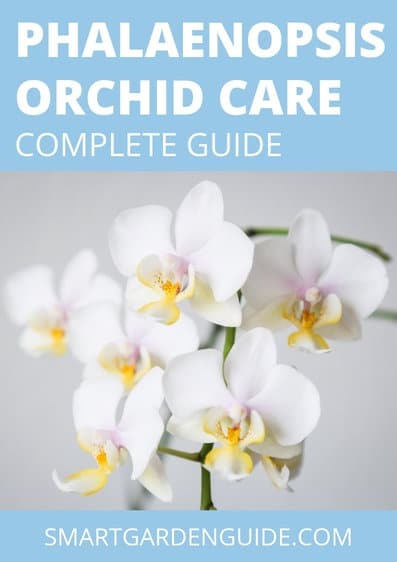 This whole website is dedicated to sharing my knowledge and learning more about indoor gardening. If you’d like to consider some other indoor smart garden options, check out my article which discusses AeroGarden vs Click And Grow, which is another very popular indoor smart garden. Alternatively, check out this article which discusses some of the best indoor smart garden ideas. What's The Difference Between Succulents And Cacti?